Finding the perfect Christmas present is a nearly impossible task! And when it’s for someone as important as a boyfriend, husband, father or best friend, it becomes even more complicated! Especially because not just any old gift will do: the people we love deserve an original gift that’s one-of-a-kind. Never fear: if you’re in need of a Christmas gift idea for a wonderful man, here are some ideas of Nomination jewellery that’ll knock his socks off. Precious materials like gold, silver, and semi-precious stones combine with stainless steel and leather to create high-quality jewellery for men that’s perfect for every occasion and dedicated to the most important men in your life: from your boyfriend to your dad, from your best friend to your brother! Discover gift ideas for every type of guy and find your perfect Christmas presents for him! For those in search of a bold look that is always in style, choose one of our Collection Bond bracelets or necklaces or one of our Trendsetter bracelets. 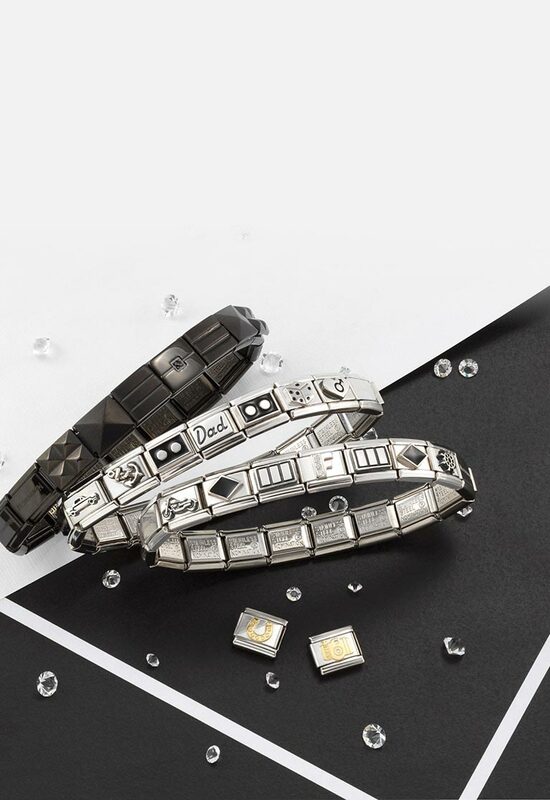 Available in various sizes, the bracelets come with plain stainless steel plaques or ones decorated with precious stones or geometric designs: you can personalise the back of the plaque with an inscription and leave a private message for your husband, boyfriend, or best friend. Prefer a more classic accessory as an unforgettable gift for Dad? Among the gifts for men par excellence is, of course, the watch: Nomination’s selection includes more informal styles with wrist straps in coloured silicon or fabric, as well as more traditional staples with stainless steel wristbands. What makes the stainless steel bands from the Time Collection so unique? You can personalise them with the Composable Links you want! 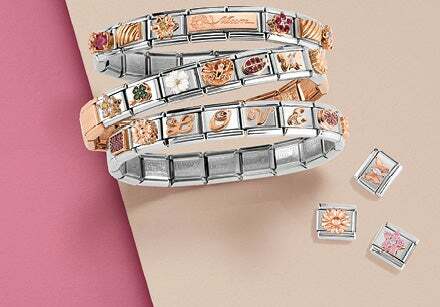 Great Christmas gifts for Him include Composable bracelets, which can be customised with Links and Charms decorated with symbols and engravings dedicated to the most important events and people in our lives. Not only will you find Composable Links of traditional Christmas symbols as a special way to celebrate the holidays, you’ll also find Links dedicated to travel, with flags and monuments you can wear as a reminder of an amazing trip taken with friends, or with your one true love. The perfect gift for the ultimate sports fan? Dedicate a Composable bracelet to his passions and personalise it with Links celebrating all kinds of sports, from the classics to those which are more extreme. 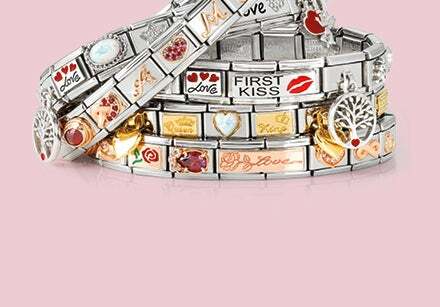 For your brother or Dad, create a bracelet which celebrates your bond: build it your way and choose from among the many charms dedicated to family!